Charnetsky, Stepan [Чарнецький, Степан; Čarnets'kyj], b 21 January 1881 in Shmankivtsi, Chortkiv county, Galicia, d 2 October 1944 in Lviv. Poet, feuilleton writer, theatrical producer and director, drama critic, and a member of the Moloda Muza writers' group. In 1913–14 he was in charge of the Ruska Besida Theater in Lviv. He co-edited (in 1916–18) the daily Ukraïns’ke slovo (1915–18) and then the weekly Ukraïns’ke slovo (1922–5) and wrote feuilletons under the pseudonym Tyberii Horobets. He published several collections of poetry: V hodyni sumerku (In the Twilight Hour, 1908), V hodyni zadumy (In the Hour of Contemplation, 1917), Sumni idem (Unhappy We Go, 1920). His short stories and feuilletons appeared in several collections: Dykyi vynohrad (Wild Grapes, 1921), Kvity i budiache (Flowers and Thistles, 1922), Z moioho zapysnyka (From My Notebook, 1922), and the posthumous, abbreviated collection Vybrane (Selections, 1959). 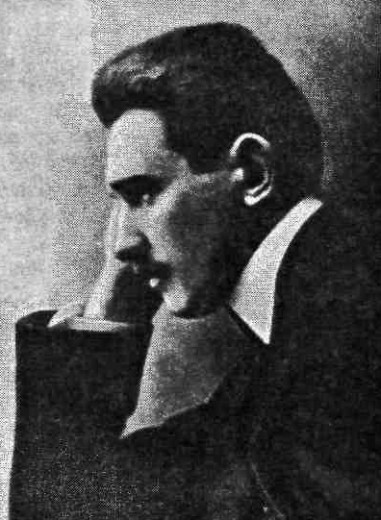 Charnetsky also translated Polish and German works and wrote Narys istoriï ukraïns’koho teatru v Halychyni (An Outline History of the Ukrainian Theater in Galicia, 1934). A monograph about him, Melankholiia Stepana Charnets’koho by Nadiia Morykvas, was published in Lviv in 2005.